Below are a few questions that have been asked by numerous folks out there, including ourselves at one point. While there is no 100% right answer we do try our best to answer them honestly. If we don't know the answer to something, we will tell you outright. Scroll down to the bottom of the page to see mini biographies of our investigative team. 1,) How do you know when you have a ghost in your house? Things move by themselves, doors, windows, objects, etc. Strange odors, perfume, rotting meat, flowers,etc. Please know that this is no way a full list and we do encourage you to have a professional come in and check things out. For instance, rotting meat could be a dead mouse in the walls. Maybe you have a neighbor that grows roses across the street from you and the scent floats through the air and into your house if it's summertime and your windows/doors are open. So you see sometimes there are explainations for things. 2.) When should I call a paranormal investigator? If you are uncomfortable/scared in your home than you should call. It is better to find a reasonable explaination than to continue to be scared. If nothing else, you have peace of mind. 3.) My child doesn't want to sleep in his/her room in the dark, what should I do? Before you call an investigator you should do a little investigating on your own. Is your child afraid of the dark? It could be just a phobia of the dark and nothing more. Ask questions without leading your child or planting ideas in his/her head to see where it leads. If your child starts to insist that there is "someone" or "something" in the room with them, by all means call and investigator to check it out. Or if they start talking to someone that you can't see. Be careful that your child doesn't just have an imaginary friend. 4.) What kind of equipment do you use on your investigations? We use 4 infrared cameras hooked up to our laptop. They are the types of cameras used by the military. They require no lighting. Infrared. Canon Power Shot A 80 camera that also takes photos in the dark. Other equipment includes motion detectors, emf, etc. 5.) What should we expect during an investigation? You can expect us to thouroughly and professionally investigate the areas of your home that has activity. We will be taking pictures, emf, video and audio. You don't have to do anything different during your investigation. We only ask that folks stay out of the way so we can gather the evidence we need to get accurate information. We do have a form of consent that we ask the owners to sign. It basically states that we were invited there for that purpose. There is no fine print.. lol. An interview will take place with one of the investigators so we can get a better understanding of history and things you are dealing with. Research is a vital part of our investigations. If we do capture any evidence we will provide you a copy of it all. This is also a complimentary service. There is no charge for anything. 6.) How do we get in touch with you? It's all on the home page. Emails and a cell phone number. 7.) Do we have to move anything or do anything special prior to your investigation? Absoluetely not. The only way you would have to move anything is if it will be in the way of getting to the area you want investigated. Other than that, leave things as they are. We aren't there to judge your housekeeping abilities. We ask that you invite us over when you don't have company. The more noise made the less evidence we can collect. 8.) What do you do with the evidence you collect? We post it on our website if we find anything. However, we do not give out names or exact locations if you desire to remain annonymous. Your privacy is our number one priority. No face shots of anyone but the investigators will posted. Any others caught in a photo will be blacked out. Ken was raised in Warwick, NY. 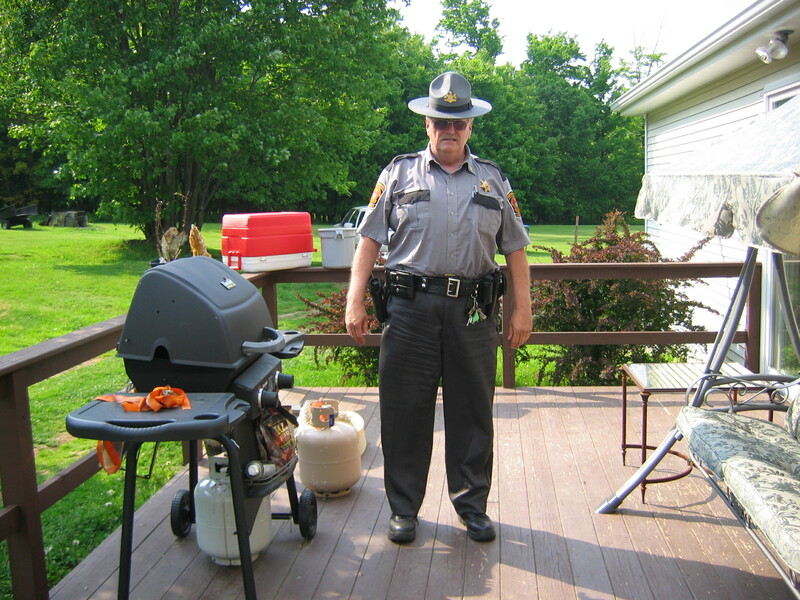 He's a retired OTR trucker and now works as a Pennsylvania State Constable. Ken also started out as a skeptic. Evidence gathered during investigations have since made him a believer. Ken is a great asset because he does look to debunk things and look for rational explainations for what is going on. Detail is his specialty. Ken enjoys a few things outside of his job as a constable. Some of his hobbies include four wheeling, computer, sports and target shooting. Ken is certified in the paranormal field. Not just paying for an online certificate but actually took the time to take the courses as well as self-educating himself. Was raised in Central Pennsylvania. Works part time for the local district court. She never had the chance to be a skeptic, having seen and heard things from a very young age to the present. She is sensitive to many things around her. She does not claim to be psychic at all. She has the ability to feel spirits around her. Some of the things she enjoys doing outside of her part time job are plastic canvas, four wheeling, walking and the computer. Chiryl also took the time to take courses and be cerified in the paranormal and educate herself. 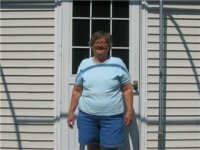 Having experiences all of her life gave her a boost in understanding the paranormal. 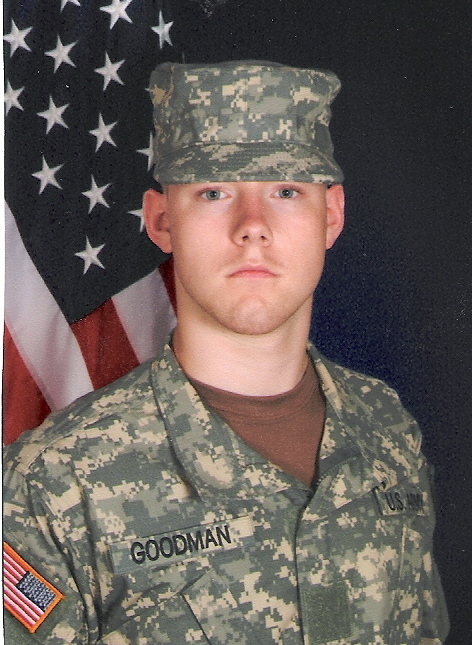 Howard is currently serving in the National Guard. Just recently completed a tour in Afghanistan. Howard has had many experiences with the paranormal that have been a great asset to the group. He has an insight into things that most of us listen to. You have to know Howard to understand that statement. He enjoys video games, reading and watching his favorite cartoons...lol. 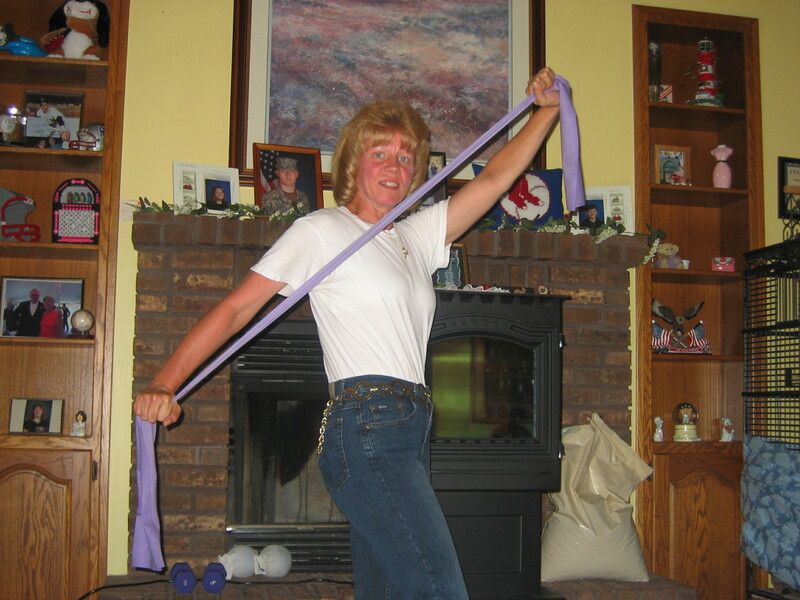 Bonnie was born and raised in Batavia NY. She is in the midst of being trained in the tech department. She is learning fast. Bonnie is a sensitive to certain kinds of activity. She is well on her way to being a great asset to the group. Some of her hobbies include writing short stories and poetry, computer and plastic canvas.